Last weekend we hosted all of my husband's cousins for a "Cousin's Weekend." It was awesome, and I totally recommend it. While all that family bonding was happening, I also had the chance to taste a little pineapple vodka that my husband's cousin Claire's husband Matt brought (I know it's a bit to explain, right?). He made it by soaking the pineapples in vodka for a couple of weeks...well heck yea, that's so great! So, when I found myself with a bushel of cherries the other day, I said to my mother-in-law, "Let's combine these with vodka!" So, using Matt's pineapple vodka for inspiration, I've done just that. Let me also say that having an abundance of cherries from my farmer is something that I could really get used to. 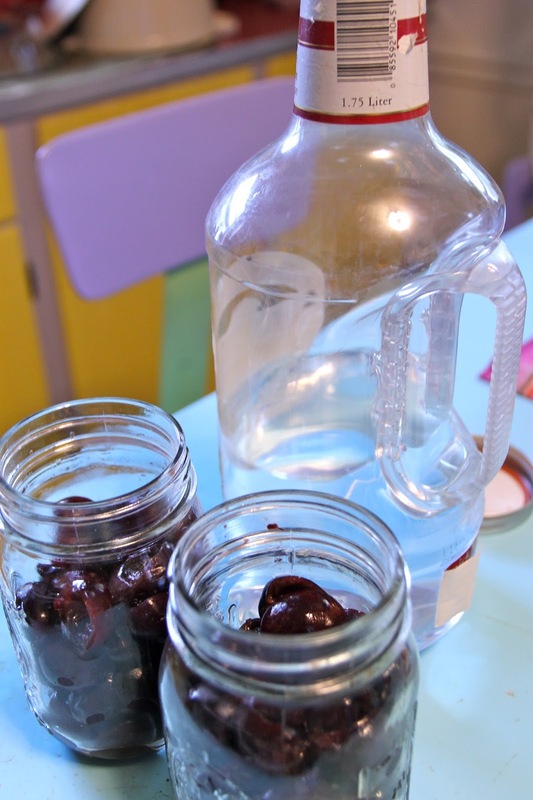 We got to make stuff with cherries this year that we would never have been able to make otherwise...like cherry infused vodka. 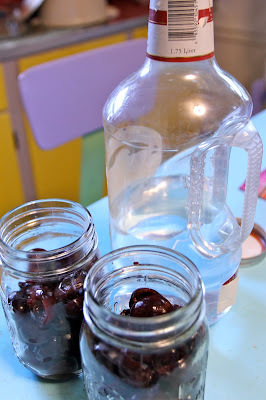 I don't know if you would call these vodka infused cherries or cherry infused vodka. Let's just say that they are pretty equal in that department. Let's also say that while this IS a "quick fix" there is also patience involved because you have to wait two weeks to reap the benefits of this "quick fix." Que Sera. What will be will be. And you know what it will be? Delicious! 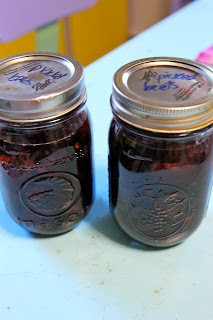 So start by filling two pint jars with pitted cherries. And now, you will fill those jars with vodka. What type of vodka is totally your choice. I had this bottle lying around from a party, someone left it at my house...so I am using it up. Now, put your lid on and and stick them in your refrigerator. Leave them there for two weeks and then pull them out and enjoy. I am going to probably come up with a drink we can all make together. But you'll have to wait a couple weeks!!!! Also, can we please take a moment to appreciate that the lids on these (which are reused) say "pickled beets?" 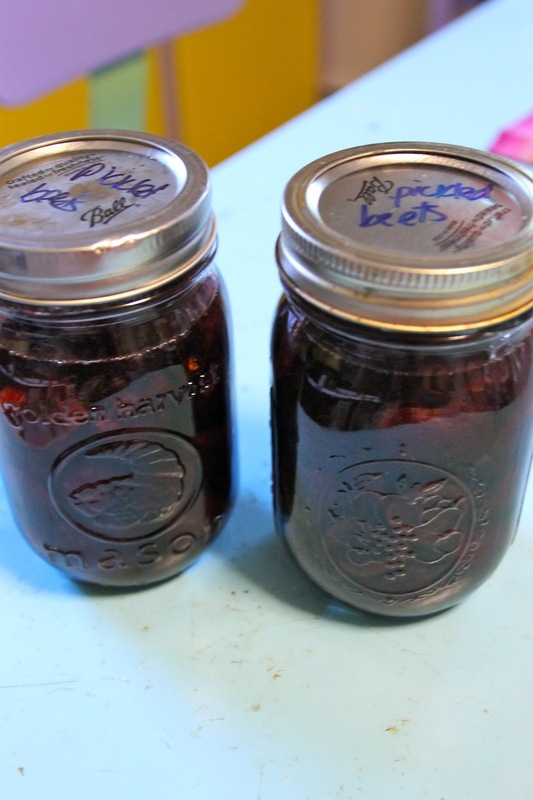 because these actually could pass to the unaware consumer for pickled beets....which is why I told my husband "don't eat those 'pickled beets' in the fridge--they are vodka cherries." Umm that sounds amazing! I'm going to have to give this a try.